Do You Know That Jeep Has Partnerships with USO and Access Fund? Jeep has partnered with the remarkable organizations called USO and Access Fund. These organizations are bringing different services to the community. From assistance for service members and conservation of the environment, what the organizations accomplish is admirable. Helping service members, USO provides numerous outlets for assistance. The organization works to connect service members with their home and country, as well as loved ones. Also, with the vast amount of USO centers and entertainment that get offered, support is made readily available. There are also numerous programs to provide aid for service members as well as their families. Because there are over 200 USO locations to utilize, service members and their families can get support worldwide. Access Fund is another remarkable organization that Jeep is partners with. The organization helps to inform others about climbing areas. There is a plethora of information that gets provided that include different impacts the areas have faced. Access Fund receives support from local communities and also provides training on climbing. The organization also provides many with information on how to conserve climbing areas. It is exciting, the partnerships that Jeep has with Access Fund and USO, but it is also exciting that Jeep brings us impeccable vehicles to make traveling memorable. Do you want to start your adventurous travels today? 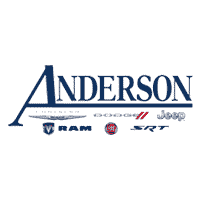 See what Jeep vehicles we have at Anderson Chrysler Dodge Jeep Ram FIAT located in Lake Havasu City, AZ. 0 comment(s) so far on Do You Know That Jeep Has Partnerships with USO and Access Fund?